Westpac’s ‘clean and green’ image was shattered today at their Annual General Meeting (AGM) in Adelaide. It started outside the venue where a group of young people presented Westpac with a ‘climate hypocrite’ award for their bankrolling of dirty fossil fuel projects. The world famous fish ‘Nemo’ also attended to demand Westpac to stop funding projects which were destroying the Great Barrier Reef. Westpac’s problems continued inside the AGM where various shareholders challenged them on the growing gap between their words and their actions. Watch as Market Forces executive director Julien Vincent explains why he’s attending the Westpac AGM with footage from the ‘climate hypocrite’ award ceremony. Westpac has traditionally been known as a ‘sustainable’ bank, having won various awards on corporate social responsibility and sustainability. Just two years ago Westpac won Socially Responsible Bank of the Year at Money’s 2014 Consumer Finance Awards. One of the judges of those awards was Stuart Palmer from Australian Ethical Investment. Palmer attended the AGM today on behalf of investors at Australian Ethical Investments. However, this time it was not to praise Westpac. He asked whether Westpac would rule out financing the proposed Carmichael mine in Queensland; a mine that would become one of the world’s largest and produce the same amount of greenhouse gas emissions per year as the entire energy system of the UK. Westpac’s lack of commitment and leadership to rule out such dirty investments is a sure way to get ethical investors offside. Palmer was not the only person to speak on behalf of hundreds of shareholders. Julien Vincent from Market Forces made a statement on behalf of 379 shareholders with a net worth of AUD$18 million dollars. The statement highlighted the contradiction between CEO Brian Hartzer’s comments at the AGM last year that Westpac was “committed to operate in a manner consistent with supporting an economy that limits global warming to below two degrees” and the actions Westpac had taken since he made that promise. 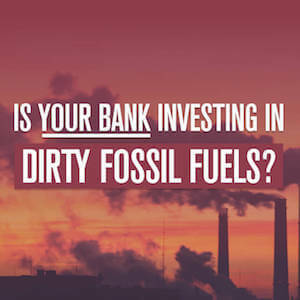 In the past 12 months Westpac has loaned $900 million to fossil fuel projects. Westpac’s lack of leadership on climate change might just lose them millions of dollars from ethical investors. Chairman Lindsay Maxsted may want investors to be patient, however shareholders, customers and staff alike are getting tired of being patient with a bank that has shown poor leadership and investment choices on issues surrounding a safe climate. 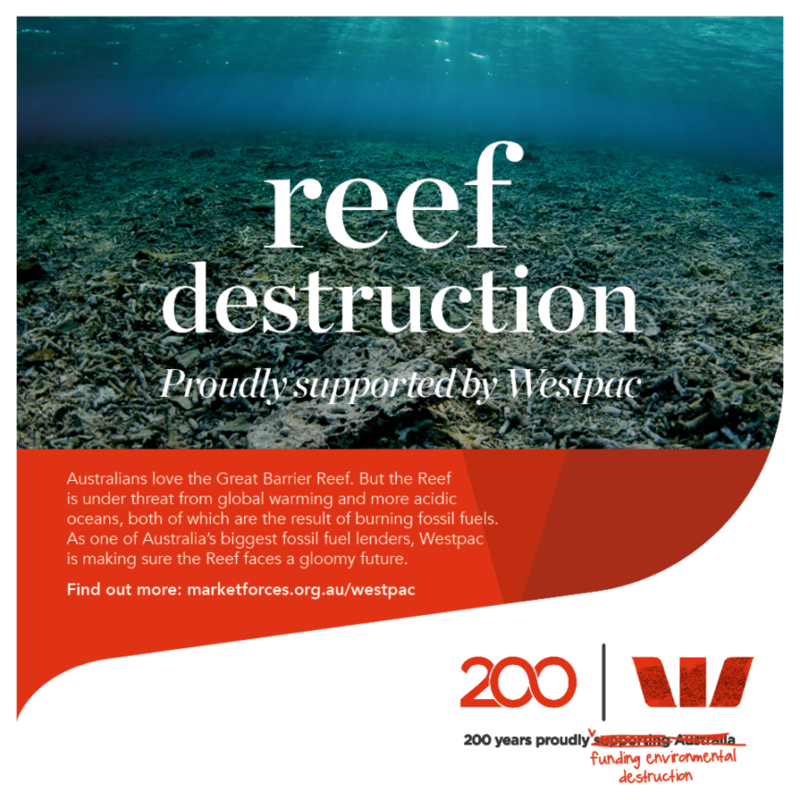 Westpac is at real risk of losing their status as an environmentally friendly bank. This AGM showed that the ethical investment community is furious about Westpac’s hypocrisy on climate change. They aren’t fooled by Westpac’s nice words and want to see real action and leadership. Real action means phasing out their funding to fossil fuels as soon as possible and not putting up one more dollar to any project that expands the fossil fuel sector.